The situation of the Kurdish political prison in Urmiye prison is deteriorating. Reports say that Alireza Raosuli spent around 40 days of his hunger strike and Iranian prison authorities are trying to break his resistance. From 20 Nov, 29 Kurdish political prisoners are on hanger strike and their main issue for striking is transferring the Kurdish political prisoners to the prison that have convicted drug dealers and criminal murderers and vice versa. 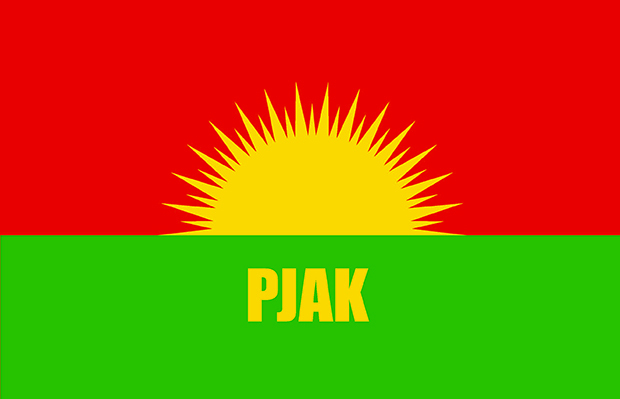 The assembly of PJAK (Free Life Party of Kurdistan) issued a statement on this subject. PJAK expressed that Islamic republic of Iran tries with the tactic of imprisonment, torture, execution, and putting pressure to stripe their identity and dignity of the Kurdish political prisoners, civil and political activist. PJAK announced that the Political system of Islamic republic of Iran’s versus Kurds make the Kurdish issue deeper, also the policies of the Iranian regime don’t meet the demand of freedom seekers and other nationalities in Iran. PJAK warns Iran’s Rouhani that the government is dragging the country into a fascist military status that says with limitless spiritual state arrests and unreasonable pressure on Kurdish political prisoners, mass execution in prison of Urmiye and rejectionists which Iran will lead to militarism and fascist. The situation reached a point that did not fit in tolerance such as policies and attitudes that would not be in favour of any party concerned. While Iran calls for national unity and appropriate treatment with Iranian nationalities but on the other hand participation hundreds of free thought claimants are in prison under anti-human encounters. If the Iranian government want to rescue from the correct crises and blockade, and not want go to deeper crises, they should leave the older police of fear and intimidation. First of all, our devoted youth and our people should raise their voice of this dissatisfaction of the regime by participating in the movement of supporting the prisoner’s hunger strike. Our people have to protest against such discrimination by Islamic republic of Iran because the resistance of Urmiye prison is namely the defence of the dignity and protect the identity and free thinking. Simultaneously the Iranian nationals and Kurdish friends must not forget that the suppression of political prisoners in fact, society and culture of all peoples in the target. Each voice against these pressures means to prevention the policies that would lead the country towards fascism and crisis.